Why do you need Gymnasium Soundproofing? Your gym is full of sound. Running and jumping athletes, bouncing balls, hollering coaches with trigger-happy whistles and cheering fans — all can create a noisy space. Most gymnasiums with their empty walls, large open spaces, high ceilings, and hardwood flooring suffer from poor acoustics. With so many hard surfaces, sound waves bounce off and back into the gym. This creates background noise and makes hearing individual voices impossible. Another problem of poor gymnasium soundproofing is sound leaks into other parts of the building. The sound of thumping feet and yelling fans can be a distraction for others in the building. Many gym owners come to Soundproof Cow for gymnasium soundproofing because they’ve received complaints from athletes, students, instructors and neighbors. Once they’ve installed gymnasium soundproofing materials, they realize how much poor acoustics hurt the quality of their gym. What can Gymnasium Soundproofing do for you? Reduce the amount of echoes in the gym. During a heated game, attention to detail and communication among teams is essential to making the right moves and performing to bring in the win. Echoing audience noise, the squeaking of shoes, music and other sounds can elevate to a distracting level and prevent proper communication between players. We use soundproofing materials to show you how to reduce echo in a gymnasium so your athletes can clearly hear the coach’s voice and each other. Decrease the amount of sound leaked to other parts of the building. In a school setting or community center, a gymnasium can serve multiple purposes. Your gym might be host to sporting events, assemblies, rallies, recreational activities, classes, banquets, conferences or performances. With so many functions, gyms are an integral part of their communities, but that doesn’t mean they should interfere with other activities in and around the same setting. Loud voices, the sound of shoes or the reverberating waves of music from the gym can invade and disturb others trying to teach classes, absorb information or conduct activities in the building. 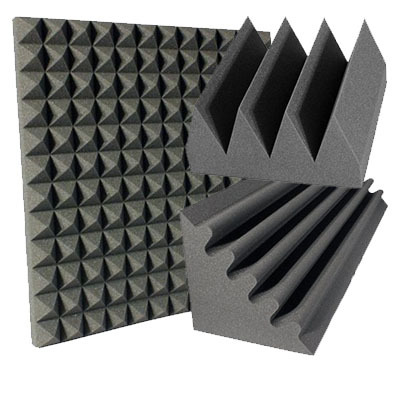 Equip your gym with acoustic soundproofing materials so sound from the gym doesn’t disturb others. Create a better teaching environment. For school gymnasiums, activity centers or community environments, gyms are a prime place for teaching fitness classes, engaging in group activities or conducting physical education classes. Poor sound quality means poor class quality, because students may not be able to hear instructors, follow directions and communicate across the gym. Soundproofing your gymnasium makes it an ideal location for the best fitness education. Make Your Gym More User-Friendly. An environment with optimal acoustics, open space, easy communication and great equipment will increase the ease and enjoyment of any student or community member who regularly exercises, plays sports or attends events in your gymnasium. Incorporating soundproof materials to increase school gym acoustics also contributes to a favorable reputation for your facilities. If a high-quality gym with high-quality acoustics is your goal, trust Soundproof Cow to deliver the soundproofing materials for a gymnasium that can improve your school or business and provide your students or customers with a much-appreciated service. With superb standards in quality and customer service, we will make your space effective and appealing to the ears. Purchase our products or request an acoustic analysis today to get you started. Whether you are looking to install a state-of-the-art home gym or you are building a new hotel complete with a fitness center, there are a lot of design decisions to consider. You have to decide which sort of machines to include, whether you want mounted televisions and the type of flooring you want to install. However, one thing that many designers forget to consider is how to soundproof a gym. But the moment people start throwing weights around and using treadmills at high speed, you will immediately realize the importance of absorbing noise in the gym. As soundproofing experts, we have decided to put together this guide on soundproofing for fitness centers. 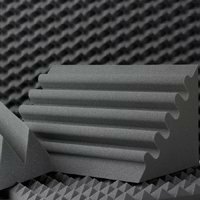 Whether you are in the pre-construction phase or are looking to add additional gym soundproofing to an existing workout room, we have collected a selection of soundproofing best practices. Included are discussions on gym echo reduction, soundproof gym flooring and other suggestions on how to soundproof your exercise room. So whether you are looking to do some home gym soundproofing, want to reduce weight room echo or are interested in hotel fitness center soundproofing, look no further than our guide to noise solutions for gyms and fitness centers. If you are looking to include the most robust soundproofing solutions in your gym or fitness center, the best time to start is before construction. By building your fitness center from the ground up with soundproofing in mind, you will be able to include a number of very powerful soundproofing materials that won’t interfere with your interior design. When you are considering sound during the construction phase, one of the best approaches is isolating the walls from your neighbors. By ensuring that you don’t put a loud gym directly next to neighbors or rooms that need peace and quiet, you can minimize the amount of soundproofing you need to do! If you are installing a home gym for example, placing it away from bedrooms or studies is a good idea. If you are designing a hotel, make sure the fitness center is not directly next to guest rooms. And if you are designing a full-size commercial gym, it is best that your gym is detached rather than built sharing a wall with another neighbor. Of course, there are some limitations that prevent you from completely isolating your gym from other rooms or buildings. But if you have options, choosing the more isolated one is always a great idea. If you are building the walls that will surround your gym, you can also incorporate soundproof insulation that will do wonders for reducing the amount of sound that can be heard outside. This is an especially good solution for homeowners, as soundproof insulation has thermal value as well. Yet it has the added benefit of doing an excellent job dampening sound. It’s also a great option for larger businesses and professional gyms looking to cut down on the sound they are producing. Simply fill the space between the drywall and cinder blocks with soundproof insulation and you will immediately notice a big difference! Just like insulation fills the gap between the outside wall and drywall, underlayment provides a layer of cushion and support between a subfloor and whatever flooring material — whether its hardwood, laminate or tile — you are using for your gym. By using specially designed sound-reducing underlayment, you will add an additional layer of sound reduction to your gym. This is especially important if your home gym or workout room is above another space, as the movements involved in excersing can often cause a lot of floor noise. Most floors require some kind of underlayment, so by planning ahead you can make sure to include sound-reducing underlayment instead of the standard kind. Installing sound-reducing underlayment after your floors have already been installed is a hassle and can be cost prohibitive, so tackling this job before laying your flooring is the best way to reap the sound reduction benefits. Now that we’ve discussed some of the best approaches to soundproofing while in the pre-construction phase, we want to highlight a few products we strongly recommend for these kids of jobs. This is the most robust approach to pre-construction sound proofing. This system helps to reduce wall-generated vibration by putting a level of separation between your studs and your drywall. 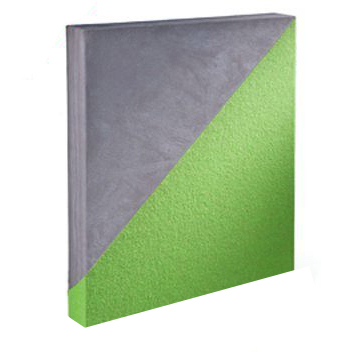 It also includes deadening pads that further reduce vibration within your walls. However, despite being so innovative, the isoTRAX™ system is remarkably easy to install. Even if you are doing a do-it-yourself home renovation and gym installation, you will be able to tackle installing the isoTRAX™ system as long as you can handle basic drywall. Finally, isoTRAX™ is remarkably affordable. If you were to source similar materials and try to incorporate this type of sound reduction approach yourself, you would likely spend much more. All things considered, the isoTRAX™ system is a no brainer! When it comes to soundproofing insulation, the best product for both the do-it-yourselfer and the contractor alike is Quiet Batt™. 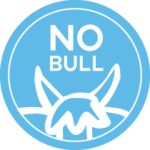 Quiet Batt™ is made of non-irritating cotton fibers, meaning you won’t have to wear tons of protective gear while installing it. Furthermore, installation does not require any sort of special tools. 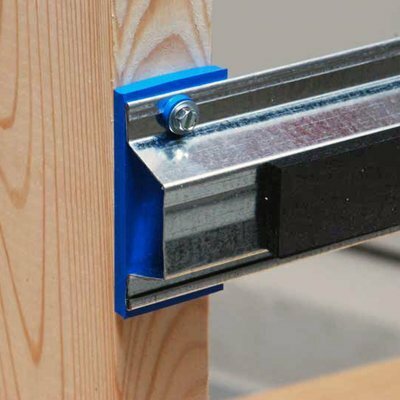 Simply use a serrated blade to cut the batting to fit and then place it snugly between either your wood or metal studs. The key is to make sure you have a tight fit, as the insulation will deaden sound waves as they pass through your wall. This is what separates soundproofing insulation from the traditional thermal insulation. Because this cotton insulation is high density, it deadens sound. This product is as useful as it is versatile. Whether you are building a home or a high-rise apartment, Impact Barrier QT Flooring Underlayment is the best way to add sound reduction to your flooring installation. You can use this underlayment regardless of what type of flooring you are looking to install. Stone, hardwood, laminate, tile — you name it! In fact, the harder the flooring, the more important soundproofing underlayment is. Harder surfaces have a tendency to resonate more with vibration, meaning more sound is going to transfer. Plus, this underlayment is green! 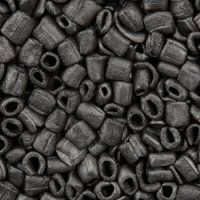 It is made of 92% recycled tires. So not only will you be deadening sound, but you will also be putting old tires to good use rather than letting them sit in a landfill! While it is always a good idea to install soundproofing elements as you are building, we realize that sometimes things change. Perhaps one of your kids is finally moving out and you’ve decided to convert their room into a home gym. Or maybe your business has decided to add a workout facility as an employee perk. But don’t worry — even if you can’t add soundproof insulation or underlayment, that doesn’t mean there aren’t a number of sound-deadening options and products available to you! Anyone who has been in a sound studio has probably seen acoustic panels. 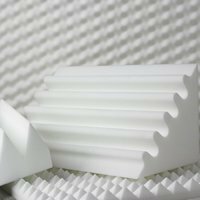 They are sound-absorbing materials that have been adhered to the walls in order to reduce vibrations. They work in much the same way as sound absorbing insulation. However, they are installed on the outside of the walls. That makes them a great solution for a room that is being converted into a gym. No matter what kind of wall you are working with, acoustic panels will go a long way to reducing the amount of sound that escapes your gym. Those worried about aesthetics should know you can have your panels custom designed. If you are installing a gym within your business, you can even brand your acoustic panels. 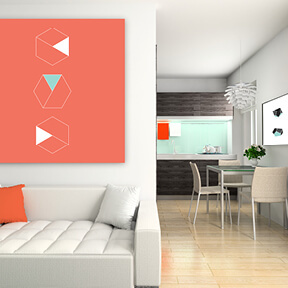 If it’s a home gym, you can disguise your acoustic panels as modern art. No matter your tastes, you can find acoustic panels that fit who you are. Hanging baffles are hung from the rafters of the ceiling. Because they are free floating, they help reduce the echo within a room. 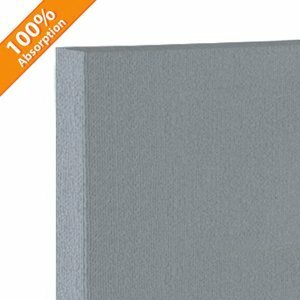 Instead of bouncing from wall to wall, sound will hit the baffle, which is made of sound-deadening material, and thus be absorbed. They come in a wide range of designs and materials. 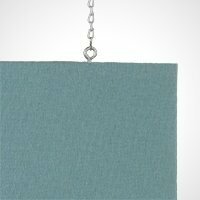 For places that are looking for more utilitarian sound-deadening approaches, raw sound-reducing fabrics can be hung. These are cost effective, but they aren’t necessarily aesthetically pleasing. If instead you want to add some visual design to your hanging baffle solution, there are a number of options that are both striking and effective. True, you end up paying more for design, but they are an excellent option for gyms with a sense of style. One of the holes in many soundproofing schemes is the door. Because standard doors don’t typically contain insulation, even the most well-insulated rooms can still be noisy. By installing door soundproofing materials, you can make sure there aren’t any gaps in your sound-deadening approach. Plus, you don’t even have to get a new door. There are plenty of soundproofing materials that can be added to a pre-existing door. This is especially good for homeowners adding a home gym. Because homeowners generally want their doors to match throughout their home, adding a soundproofing seal or sweep increases sound-deadening capability without switching out the whole door. 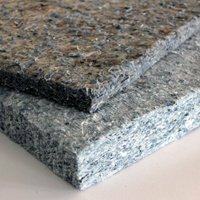 With so many soundproofing materials available, we wanted to provide you with some of our favorites. One of the most important things for a gym is the ability to sanitize everything. 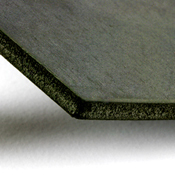 That’s why the Quiet Board™ water resistant panels are a great option for acoustic paneling. 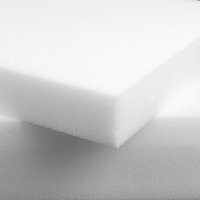 Made out of Styrofoam like material, they are easy to clean, even if you plan on using the highest-grade sanitizing chemicals like those common in commercial gyms. But just because they are durable doesn’t mean they aren’t attractive. They can be fabricated into custom shapes and come in both one-inch and two-inch thickness. 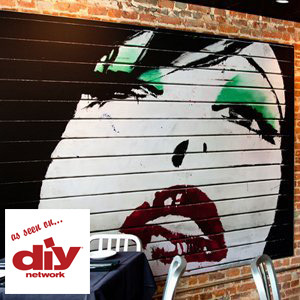 If you know you need acoustic panels installed but you don’t want the world to know you’ve installed them, try our custom-made art panels. Made out of the same kinds of sound-deadening materials as standard panels, they are wrapped in fabric. 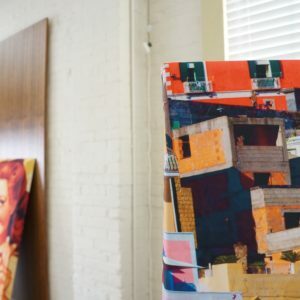 This fabric can be printed with a custom image. If you want to include a family photograph, you can. If you want to include a picture of your car, you can do that too. Just upload an image, and we will print it on your panel! These baffles combine incredible sound-deadening power with attractive design. You have a wide range of fabric options available to choose from so you can easily coordinate your baffle with your interior design aesthetic. Plus, the baffle includes an aluminum frame designed to enhance the baffle’s sound-deadening qualities. For those looking to soundproof a door, this is a great all-in-one kit. Whether you have a wood or steel door, this kit will give you the moderate soundproofing you need to keep your gym from disturbing other businesses. At Soundproof Cow, we don’t discriminate. Whether you are doing a small-scale soundproofing for a home gym or you are a contractor responsible for soundproofing a giant commercial gym, we have the solutions you need to keep the noise at a minimum. We are a veteran-owned business, so you know we sweat the details. We’ve also been delivering custom acoustic solutions for over 15 years, so you know that we have the experience. Plus, we’ve always been rooted right where we started in rural Pennsylvania. Even as we’ve expanded our business, our phones are always answered by a real person. So if you are ready to start taking soundproofing your gym or fitness center seriously, there is no better place to start than Soundproof Cow. With a wide range of available solutions for both the commercial and residential market, for both contractors and do-it-yourselfers, you are just one conversation away from a truly soundproof workout space!